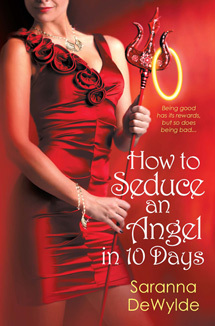 How to Seduce an Angel in 10 Days is an entertaining addition to the 10 Days series. Tally is having a crappy life. She is a loser in love, a pariah to her people and now a parolee. She has ten days to prove she is worthy of a second chance. Ten long days to be cooped up with a male that has always owned her heart, but has always viewed her as a little sister. Ten days to show that she doesn’t deserve to go to hell and that she can change. Ten days for her life to be altered forever. Falcon is having a crappy life too. One awry fireball and now he’s Cupid; diaper and all. How can a man who doesn’t believe in love be forced to spread love around? He doesn’t understand it. But that is what his life has become; living in pastels and sparkles. It’s all he can do to prove he is still a manly man. He is now being forced into the position of parole officer to a woman he has always desired. He didn’t think his life could get worse, but it may have. How can a Crown Prince of Heaven slake his desire for the one woman he always wanted when it is a big no-no? Dang, being a Prince isn’t what it’s cracked up to be. Their ten days together is a learning experience for both of them. It is full of revelations and discoveries, desires and disappointments. These two troubled souls will defy what is expected of them and will discover what love is all about. While I rate this the same as the prior book, How to Marry a Warlock in 10 Days, I have to say I may have actually liked it more. There was less “bahaha” funny and had more depth in the plot. I like the slight direction change that Ms. DeWylde has decided to take. It was very nicely balanced and reads very smoothly. How to Seduce an Angel is wonderful light read with tons of heart. I especially like that we were visited by prior characters and their stories were intertwined a bit. Not in an overpowering way, but I can feel that Ms. DeWylde is setting up future novels. I am definitely adding the 10 Days series to my must read list. I have enjoyed everything about them. These novels have a lighthearted feeling to them along with whimsical humor, practical plots and appealing characters; a winning combination! This is a vividly entertaining series. Past reviews for the 10 Days series. How exciting this would be to win! Thanks for the great contest! I haven't read this series, but they look right a fun read :) thanks! I have not read them but I have had them reccomended them to me by two friends and clients. The covers and titles are gorgeous and clever! oops, I haven't read any of your books , but they look great. Always looking for new to me authors. Sorry to say that I have not read anything by Saranna. I will soon correct that problem :) Thankyou for the giveaway! I have not read any of this series yet buy I would really like to because they sound good and look like a really fun read. I've never read any of her books, but they sound very interesting. Thanks for the giveaway. I have read Desperate Housewives of Olympus and Waking the Queen (Ride of the Darkyrie 1). I really enjoy this author. I haven't read any books by Saranna but sounds hysterical and wonderful! I haven't read any but they sound like they would be fun to read. 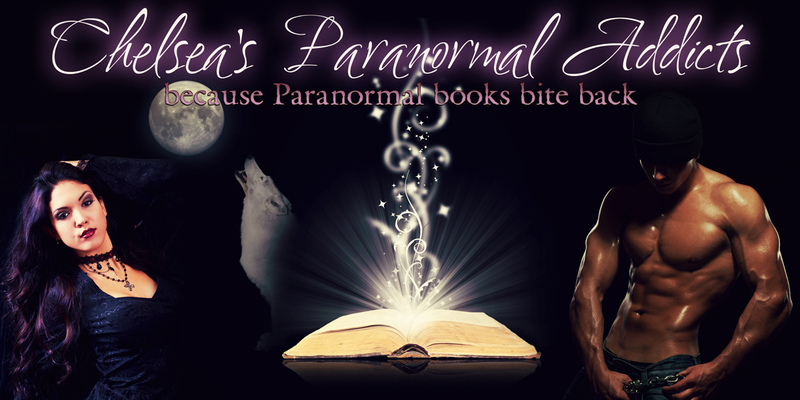 I was completely unaware of this series, but I do love a good PNR. I love even more a good demon romance. Gena Showalter's LOTU is one of my favorite series. Never heard of this series before but sounds like a cool one to check out.